MSNBC poll: Nearly everyone supports mandatory GMO labeling . “If the FDA is so confident in GE products, then they should proudly advertise it and let ‘We The People’ decide whether we’ll buy it,” said another poll voter. In virtually every GMO poll conducted, respondents have expressed aggressive opposition. An ABC poll on the subject found that 93 percent of respondents supported mandatory GMO labeling, while more than half said they believe GMOs are patently unsafe. And another poll recently conducted by CBS and The New York Times revealed 87 percent support for GMO labeling requirements. The fact of the matter is that if GMOs are the wonder food that biotechnology companies and their lapdogs in the US government insist they are — allowing crops to grow “larger, faster, with fewer or no pesticides, and in otherwise intolerable climates” as they falsely say — then why not let the people decide for themselves whether or not to buy them? Besides the fact that no GMO in existence grows with “fewer or no pesticides,” GMOs provide absolutely no benefit over conventional and organic crops whatsoever. The only parties that benefit from GMOs are their manufacturers, which include biotechnology companies like Monsanto, Syngenta, and Dow CropScience. Poor, developing countries are not benefiting from GMOs because they actually require more pesticides, they often produce equal or less yields than conventional varieties, and the GMO system locks farmers into a dependent system from which they can never escape. And contrary to the opinions of the self-appointed scientific “elite” that insist opposition to GMOs is “luddite” and birthed out of “fear of the unknown,” the exact opposite is true. GMO apologists are the ones that blindly insist that GMOs are safe, even though not a single, credible scientific study has ever proven this to be true. On the contrary, numerous studies have found that GMOs damage the intestines and lead to chronic illness, as well as cause many other health and environmental hazards (http://www.naturalnews.com/026426_G…). The numbers speak for themselves, though. 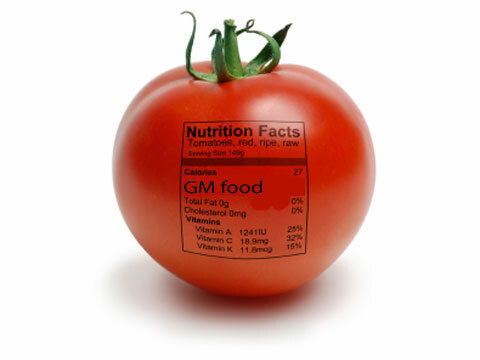 Americans, when provided with the information they need and the option to make a rational decision in the matter, continue to oppose GM foods. And when enough of them get fed up with the current racket that prevents transparency and freedom of food choice, the labeling situation may eventually change. Until then, consumers will have to navigate the aisles carefully, avoiding likely GMO candidates like conventional corn and soy products and foods that contain conventional canola oil. ← The hidden tyranny: children diagnosed and drugged for profit.